Christian man does not have to be a miracle-worker, brilliant theologian or heavenly vision soothsayer or maker, but he does have to account for not being aware of his sins. A sin in the Orthodox Church is understood in the spirit of the Greek word "amartia." In Ancient Greece, when a person aimed to hit the bull's eye and failed, they called it "amartia," "he missed." Falling short of the mark, not reaching your goal, not attaining your purpose is sin. When a Christian does things that keep him away from Christ, he sins because he does not live up to his purpose, and that is to live in Christ. When we do not live up to our goal, being the image and becoming the likeness of God, then we sin. When we allow the stars of heaven to guide our actions and not God, who created the stars, then we are sinning. When we run to the newspapers to look up our horoscopes and our futures, and do not seek wisdom and learning from the Bible, then we are sinning. When we do, or don't do, this and that because astrologers say so, and close our ears to God's Commandments, then we are sinning. We are sinning when we pray to our Christian God and, simultaneously, take somewhat seriously the zodiac. We are not Aquarians, Pisceans or Librans, sons and daughters of stars; we are men and women, sons and daughters of God. People are now being introduced as Aries' and Leo's, no longer as Christians. Isn't it strange that people would rather be named after stars and their constellations, than after God, the Creator and Source of Life? It is rare today to hear people say, "No, I'm not of Zodiac. I am of God, a Christian; a small Christ." 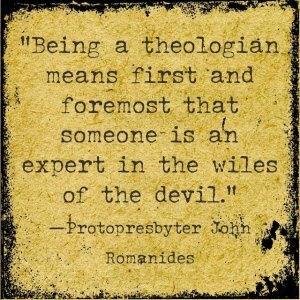 The Church has always preached against astrology. Jeremiah in Chapter 10 verse 2 writes: "Learn not the way of the unbelievers, nor be dismayed at the signs of the stars because the nations are dismayed at them, for the beliefs of these people are false." When Daniel was confronted by the astrologers of the Assyrians, or Babylonians, from whom we have inherited astrology, Daniel answered: "No wise men, enchanters, magicians or astrologers can show to the King Nebuchadnezzer the mystery which he has asked, but only God in Heaven, Who reveals all mysteries..."
Our Canon Law prohibits people from believing in astrology. In fact, Canon 36 of Laodecia in 369 casts out of the Church people who make, sell, buy or wear the zodiac signs. The Church Fathers, like the Ancient Greeks, felt that there were "many wonders in the universe, but none more wonderful than man." Man is God's personal image according to Psalm 8, "man was made a little less than God and crowned with glory" in order to have complete dominion over the whole world-stars included. St. Gregory the Great writes: "Man was not made for the stars, but rather the stars for man; and if a star can be called the ruler of man, then man must be considered the slave of his own servants." God did not create the planets and stars with the intention that they would dominate man, but that they, like other creatures, should obey and serve him. Augustine considers astrology a religion of fate which is vehemently condemned by the Church. He feels that anyone who believes that our loving God would give power to stars in order to direct and govern our lives offends God's justice and love. St. John Chrysostom sees this belief in stars as a foolish disbelief against God's omnipotence and creativity. God is subjected to the star's power. He also points out that if we are directed by starpower, then there is no such thing as good or evil because we do what we do under the stars' direction. "This means that God's commandments, that man shall not sin or that man shall do good, come down to nothing but foolishness." The Church Fathers bring up the idea of twins, especially Jacob and Esau. They ask, "Why is there such a diversity in the life of twins, in their actions, fortunes, deeds, callings, honours, and all such things pertaining to human life; is this a result of a tiny interval of time, even though they were conceived in the same moment?" St. Gregory the Great understands astrology as superstition and foolishness-astrologers told him that a person born under the Aquarius sign was a fisherman, yet in the desert, he has met Aquarians but never fishermen. In Persia, where a child is born to a king and becomes a prince, they say his star caused it so; but then he asks, who can estimate how many slaves were born at the same time and moment as the king's son? "And yet the sons of kings, born in the same hour as the slaves, go on to a kingdom, while slaves born together with them die in slavery." 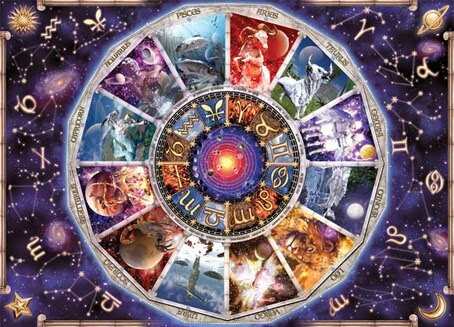 Astrology came from Babylonia over 4,000 years ago. It was based on the astronomical system-that the sun revolves around the earth, not the earth revolves around the sun. The year was divided into 12 months, 6 having 30 days, 6 twenty nine, thus making 354 days. So once in a while, they would add a 13th month. What I'm leading to is this: a person born in April, called Aries in our Gregorian calendar, in their calendar should be a Pisces, and an Aquarian. You see, we are a month ahead. So all of that which you have been reading about yourself is wrong because you were in the wrong month. The Babylonian Astrological Calendar is a month behind ours. Will Durant in his History of Civilization calls astrology one of the many superstitions of ancient days which still flourish in our own day. But the stupidity of it all is best summed up by the immortal Shakespeare: "This is the excellent foppery of the world, that when we are sick in fortune we make guilty of our disaster the sun, the moon, and the stars; as if we were villains by necessity; fools by heavenly compulsion; knaves, thieves and teachers by spherical predominance; drunkards, liars, and adulterers by an enforced obedience of planetary influence." St. Gregory of Nyssa, summing up the essential aspect of human dignity, rightly says if we are but instruments of heavenly rotation, then we do not have free will. "And if man loses freedom, he loses everything." If man is not free, man is not man.